With the fall fashion challenge I participated in had me embracing new trends I wouldn't have tried before. I bought two new puffer vests as my old one from high school is no longer white. lol I bought my first pair of riding boots, well two pairs actually I couldn't decide on a color and they were only about $30 each. Tassel necklaces and leopard infinity scarves are in, just look around pinterest. The one trend I haven't embraced yet is the bootie. Remember my post on gladiator heels, well I bought two pairs and ended up returning them, it just didn't quite look right on me. So I'm hesitant to jump on the bootie trend. What do you think, do you wear booties? 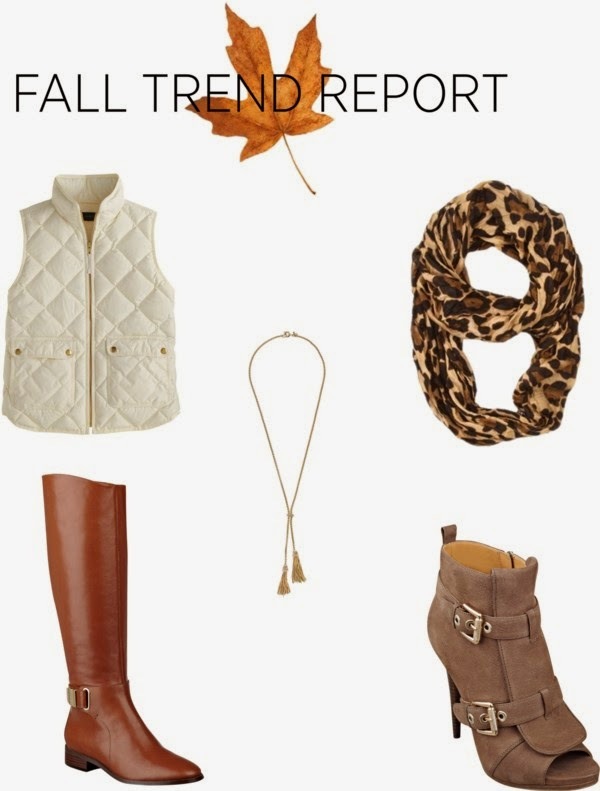 I really like that necklace you linked and riding boots are always one of my fall favorites!